How to unblock and watch Formula 1 2016 with VPN and Smart DNS? In order to unblock live streams of Formula 1 races you either have to connect to internet within UK territory or use VPN or Smart DNS. VPN will allow you to hide your own IP address and get UK IP address. Also it has quite few other perks mentioned quite often in our other posts about VPN in general. Smart DNS does not change your IP address but as it redirects parts of internet traffic to relevant UK proxy servers (also US or Polish proxy). It will allow you to watch requested content automatically. It is the Smart DNS server that recognizes if the site you want is in UK, US or Poland. So all you need is active VPN (with Smart DNS) or just Smart DNS account and our free VPN application, available for Windows, Mac OS X, iOS and Android, if you want to avoid manual configuration. Where and when to watch Formula 1 2016 online with VPN and Smart DNS? 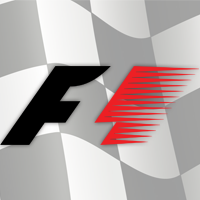 In 2015, in UK some of F1 races where shown by BBC One and whole season by Sky Sports. In 2016 things will be a bit different. 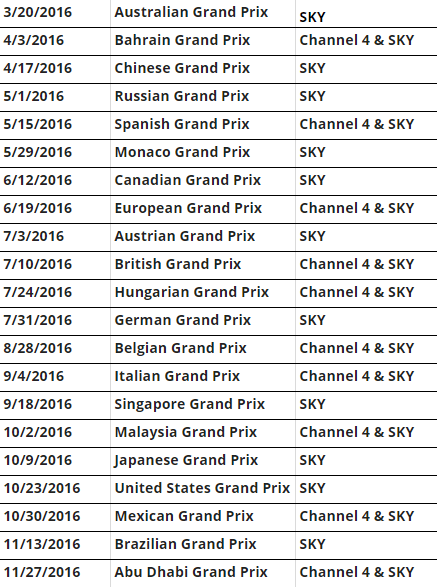 10 races will be broadcasted by Channel 4 and again, whole season will be available for SKY subscribers. So, how can we watch Formula 1 online?